Shop online for over 200 merten model trains at discounts up to 16%. This is the HO Scale Model Railroad Figure of Swimmers #1 by Merten. This is the HO Scale Model Railroad Figure of Passengers with Luggage Cart by Merten. This is the HO Scale Model Railroad Figures of American Fire Fighters Set #1 1950s/60s by Merten. This is the HO Scale Model Railroad Figure of Passers-by Standing by Merten. This is the HO Scale Model Railroad Figure of Motor Boat Driver with Skiers by Merten. This is the N Scale Model Railroad Figures of Workers Loading by Merten. This is the HO Scale Model Railroad Figure of Men Traveling by Merten. 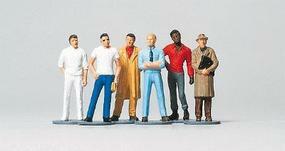 This is the HO Scale Model Railroad Figures of Gas Station Workers/Mechanics by Merten. This is the HO Scale Model Railroad Figures of Red Deer (3 Bucks, 3 Does) by Merten. (6). This is the HO Scale Model Railroad Figure of Family Get-Together by Merten. This is the N Scale Model Railroad Figures of Mini Golf Course & Players by Merten. This is the HO Scale Model Railroad Figures of Draft Horses (3 Gray, 3 Brown) by Merten. This is the HO Scale Model Railroad Figure of Wanderers/Hikers by Merten. This is the N Scale Model Railroad Figures of Cows by Merten. This is the HO Scale Model Railroad Figures of Organ Grinder & People by Merten. This is the HO Scale Model Railroad Figure of Seated Pairs by Merten. This is the HO Scale Model Railroad Figures of Women Hanging Laundry by Merten. This is the Z Scale Model Railroad Figures of Farm Workers by Merten. This is the HO Scale Model Railroad Figures of Ice Skaters-Paired Couples by Merten. This is the HO Scale Model Railroad Figure of Seated Women Travelers by Merten.